Lockheed Martin and the Defense Contract Management Agency (DCMA) have completed the first joint acceptance test flight of the US Air Force’s (USAF) C-5M Super Galaxy aircraft at Lockheed’s Marietta facility in Georgia, US. 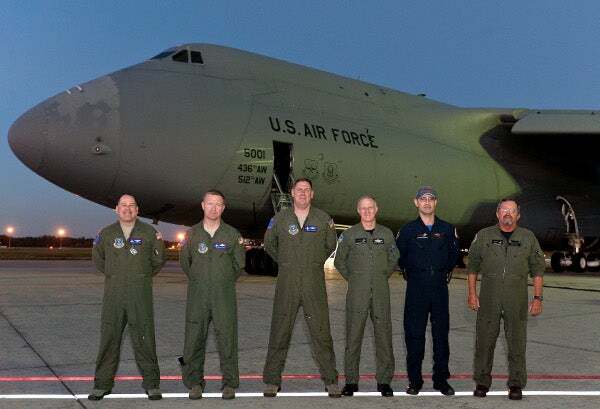 Conducted jointly by USAF and Lockheed technicians and flight engineers, the joint acceptance flights mark the final phase of the programme to handover the aircraft back to the air force, by lowering total delivery time by between two to four weeks. Lockheed C-5 programme vice president Greg Ulmer said the test flight represents a significant milestone for the C-5 aircraft family, and involved several hours of coordination and planning. ”This is just one step of many we are implementing to increase the rate of C-5M deliveries to our warfighters,” Ulmer added. The C-5M Super Galaxy is an upgraded version of the C-5 Galaxy aircraft, and features an increased 58% climb rate to an initial cruise altitude to facilitate greater cargo transportation from airfields over long distances. A total of 79 C-5 aircraft, including A, B and C models are being upgraded by Lockheed as part of a comprehensive two-phase modernisation programme, including the Avionics Modernization Program (AMP) and the Reliability Enhancement and Re-engining Program (RERP). The $70m C-5 AMP phase, which was completed earlier this year with the delivery of the 79th and final aircraft to USAF, involved the installation of a mission computer, glass cockpit with digital avionics, as well as advanced communications, navigation and surveillance components for air traffic management. Of the 79 AMP aircraft, 52 are scheduled to undergo RERP, which involves reequipping the aircraft with new General Electric CF6 engines, as well as more than 70 additional improvements to major components and subsystems. The C-5M upgrade programme aims at providing increased reliability, maintainability and better fuel efficiency to the aircraft, while also extending aircraft service life beyond 2040. Image: USAF and Lockheed personnel during C-5M Super Galaxy’s first joint test flight. Photo: courtesy of Todd McQueen, Lockheed Martin.